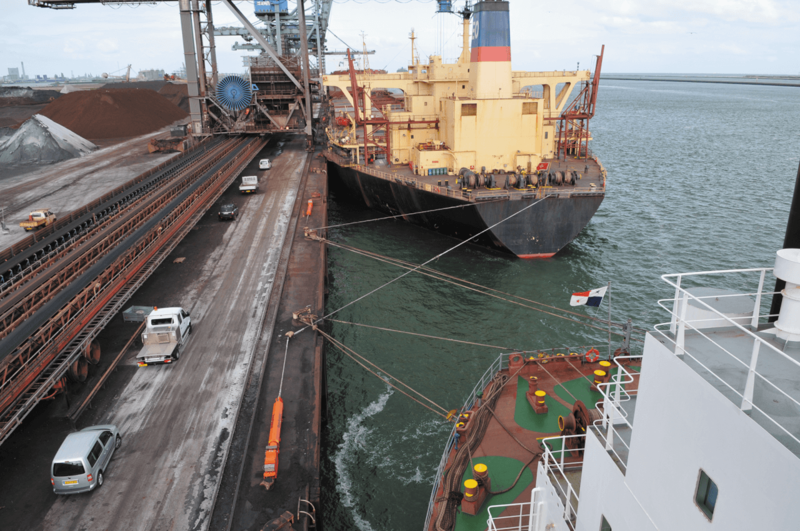 More and more marine terminals are built in exposed areas and berthed ships face increasingly more severe weather conditions, also due to climate change. 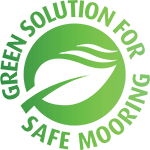 Furthermore, increasing demands on the accessibility and operability of terminals impose higher demands on mooring facilities. 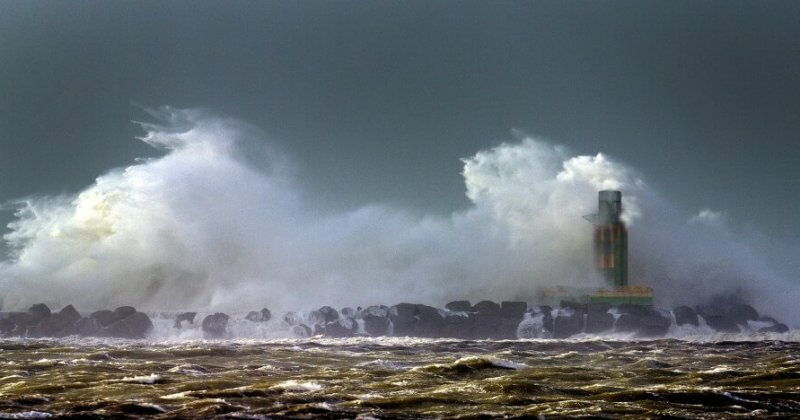 To reduce the impact of environmental conditions, often expensive measures such as (detached) breakwaters or wind screens have to be implemented. 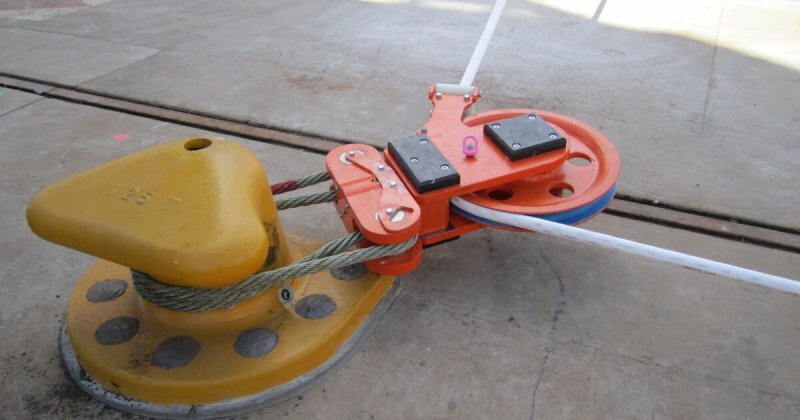 The ShoreTension provides high pre-tension and reduces the loads in the mooring lines. 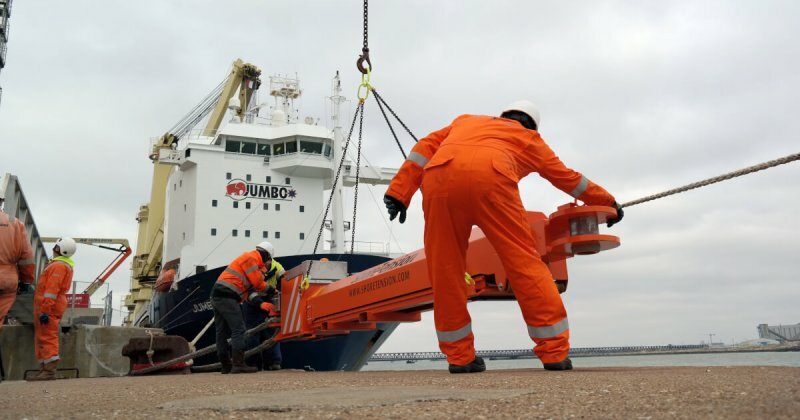 Together with the fendering system, vessel movement – and with that the down-times of the terminal – are significantly reduced. 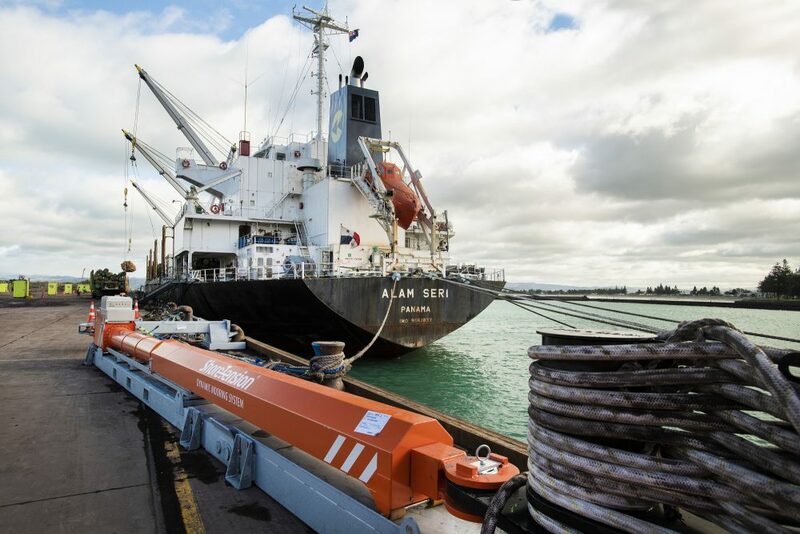 The continuous growth of the ship size poses fundamental challenges for the safety of mooring and berth operations. 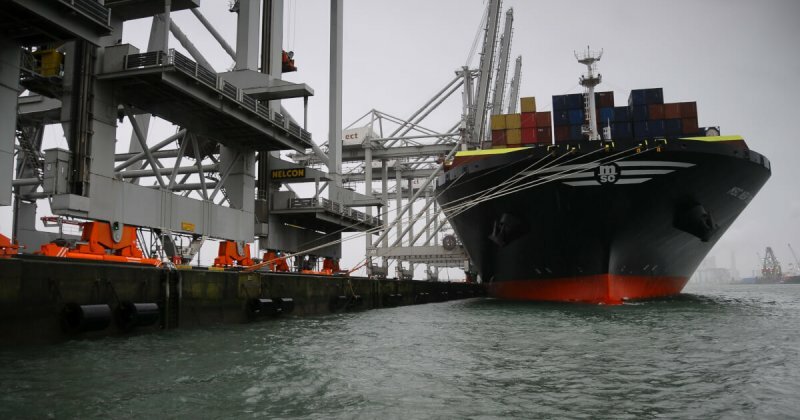 Due to the increasing lateral wind areas of, for example, container vessels, car carriers and cruise vessels, mooring lines are exposed to high loads under severe wind conditions. One solution would be to pay out long breast lines or extra storm lines. 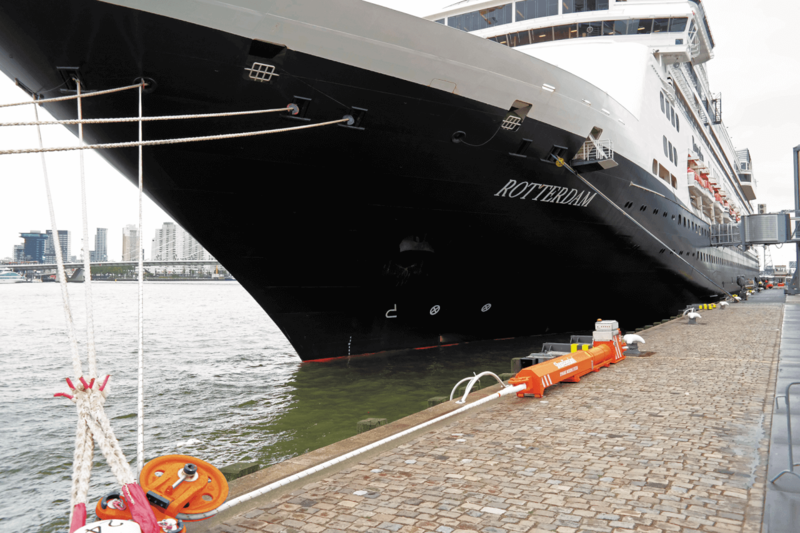 For many berths, the available space and the number and capacity of bollards is however limited. 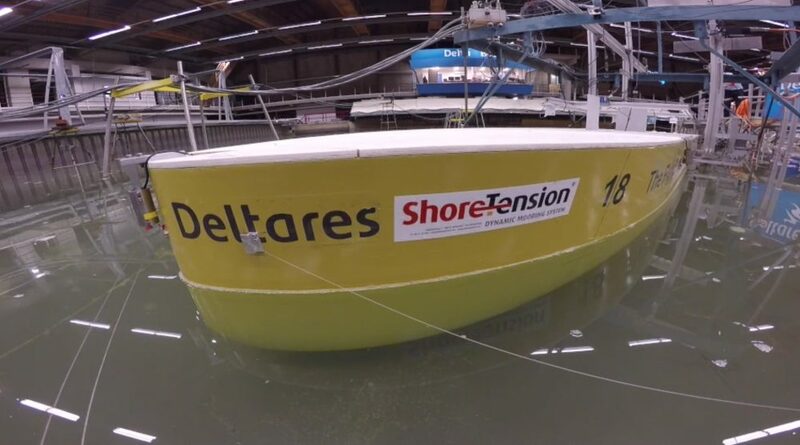 The ShoreTension has been developed to enhance the mooring capabilities of large ships. 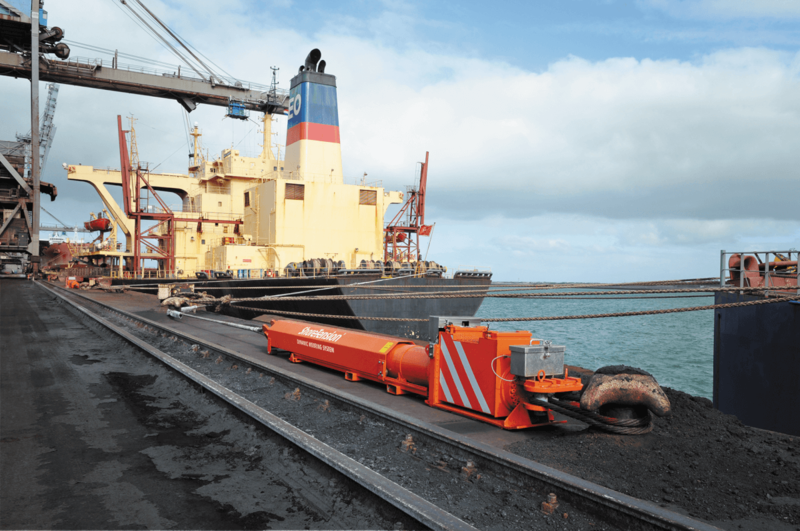 The ShoreTension provides high tension and pays out the mooring line, coping with the peak loads without exceeding the minimum breaking load of the line. 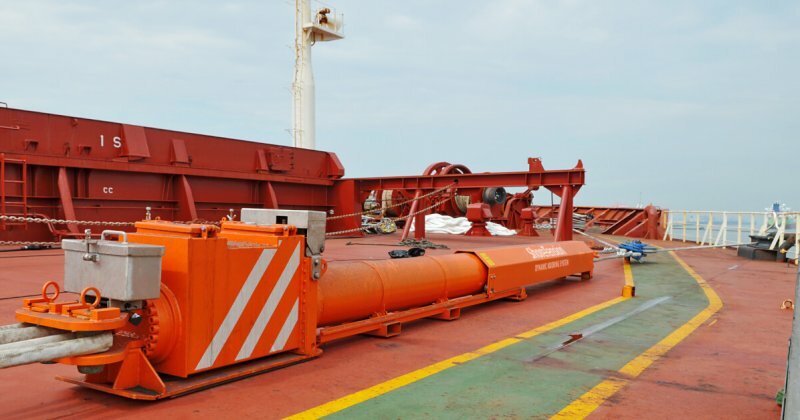 Conventional tension winches on deck prevent mooring lines from snapping and provide a certain pre-tensioning. 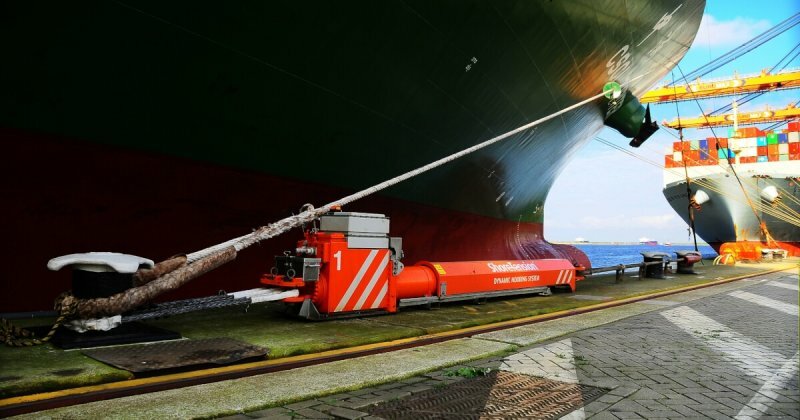 This conventional system can cope with wind, gusts, tidal elevations, (off)loading of the vessel and suction caused by passing ships. The major disadvantage however is that these tension winches are engine-driven and require a lot of external energy. 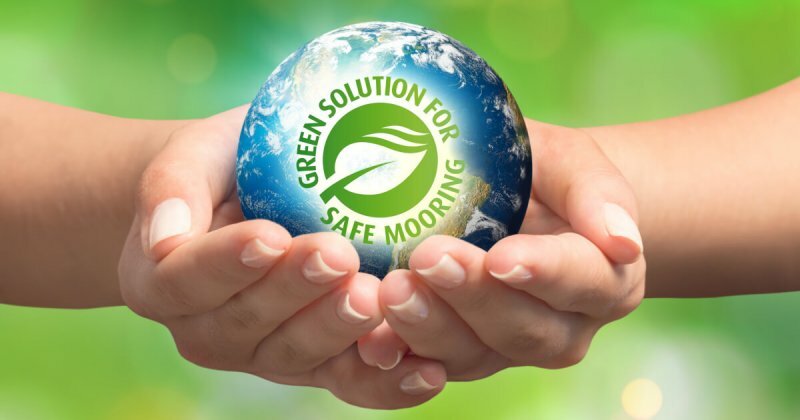 The ShoreTension only requires external energy at the moment the ship berths to put the right tension on the mooring lines. Whilst paying out the line, the ShoreTension stores energy internally. When the peak loads are over, the ShoreTension heaves in the line with the energy stored and returns to its initial position. The cylindrically shaped ShoreTension exerts the same, constant tension to the ship’s mooring lines which are fastened to the bollards on the quay. This requires no electricity except for an external hydraulic system which only needs to be used once to get ShoreTension at the correct setting. After that, the cylinder of ShoreTension hydraulically moves along with the forces which the mooring line is exposed to. 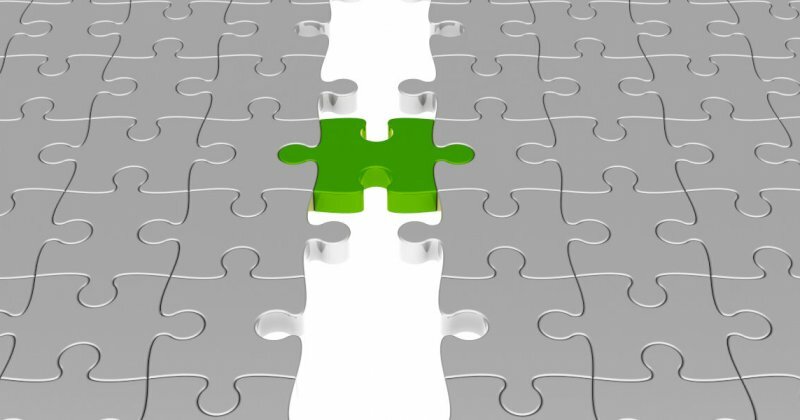 This process continues perpetually without the need for additional energy. 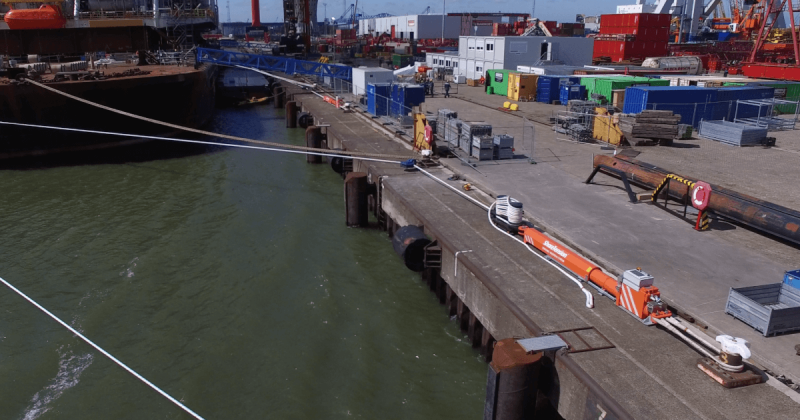 ShoreTension aims to keep all mooring lines at the same, constant tension, also in case of swell, waves, wind and passing vessels - particularly crucial for the safe and stable mooring of vessels. 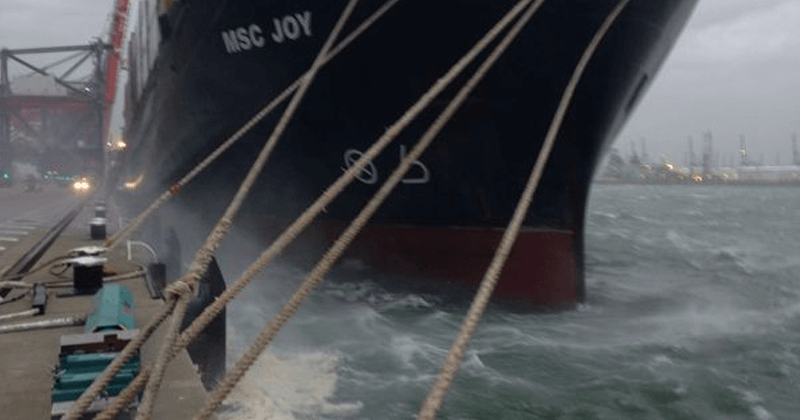 It is the differences in tension between the different mooring lines which cause a ship to move and potentially cause the mooring lines to snap. The ShoreTension is positioned on the quay in between two bollards. One end of the ShoreTension is attached to the quay bollard while the ship’s mooring line is connected to the moveable part of the device. A second quay bollard is used for guiding the ship’s mooring line. 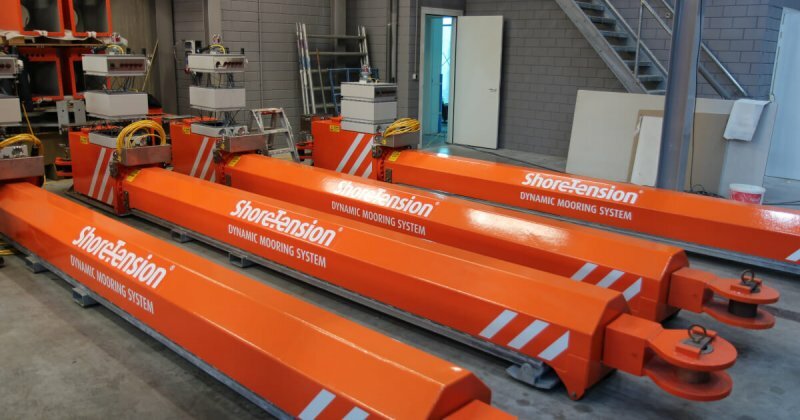 The ShoreTension only has to be activated once via a hydraulic system. After that, it functions stand-alone without the need for external energy. 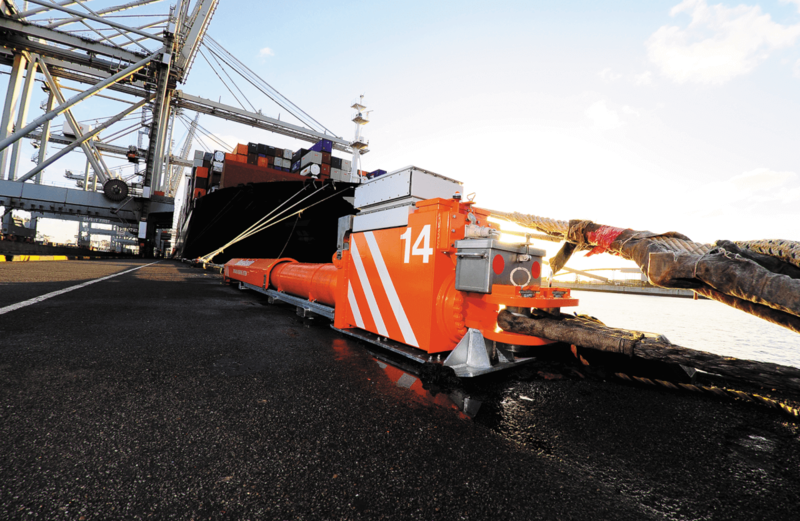 This makes it easy to flexibly position the ShoreTension anywhere on the quay. In the future, it will also be possible to vertically integrate the ShoreTension in quay walls. 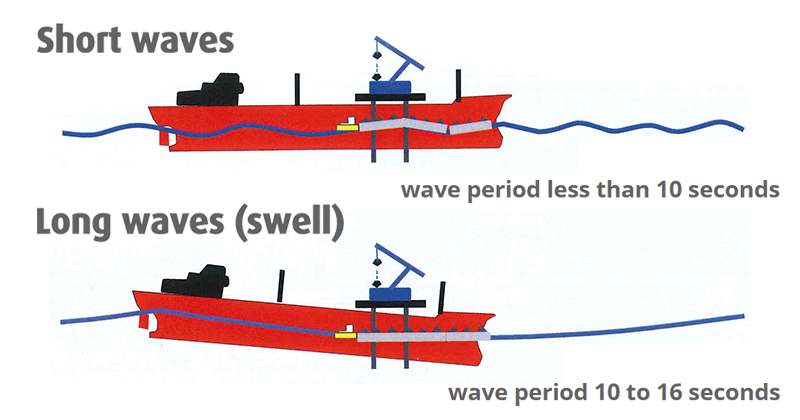 Depending on the ship size, weather conditions and local conditions, two to four ShoreTensions are required for the safe and stable mooring of vessels. The ShoreTension performs optimally with all loads.  The ShoreTension has been certified by Lloyds Register in London with a SWL of 150 metric tons. 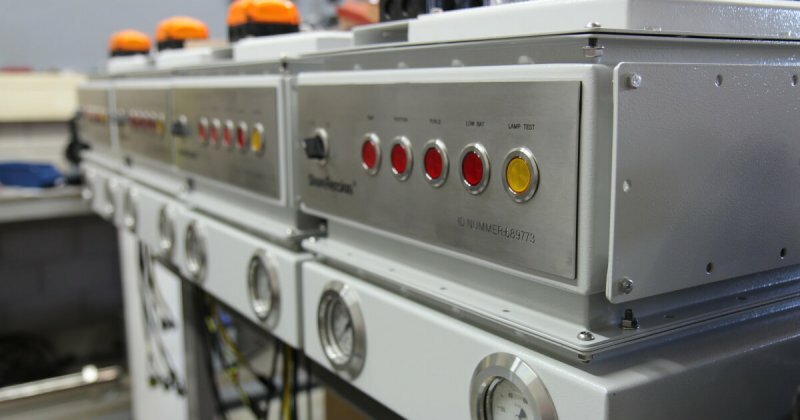 Every ShoreTension has its own wireless controller that works on solar energy. 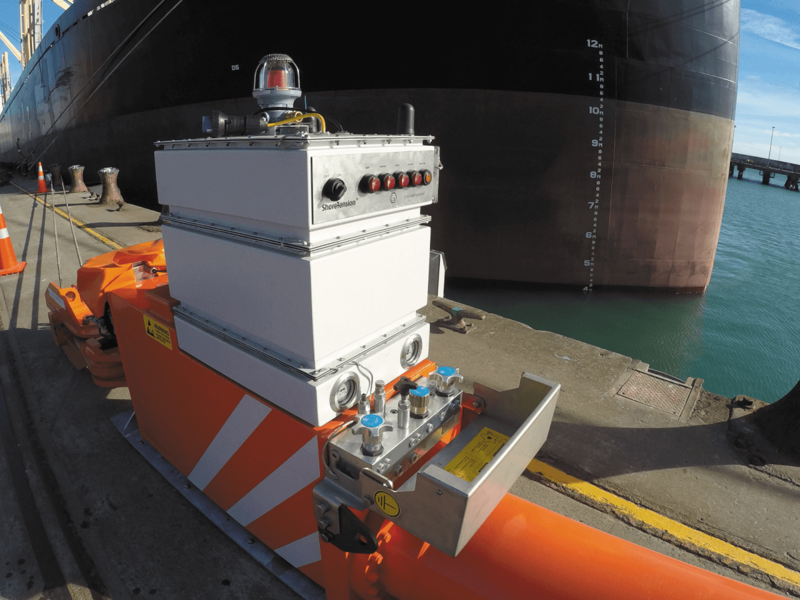 This enables the captain of the ship, the terminal operator and other parties to remotely monitor the tension on the mooring lines in real-time. 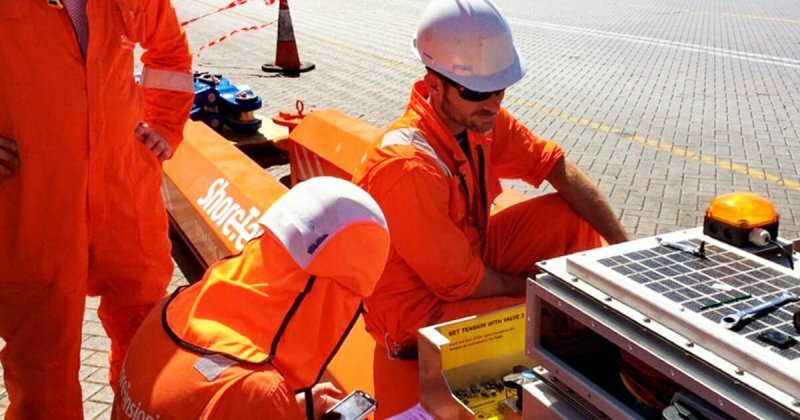 Through SMS, all parties involved will be automatically notified if the safe working load (SWL) of a mooring line approaches the pre-established limits and if additional measures are required.